Being a reckoned name in the industry, we have introduced Screen Printing Machine, procured from known names of the industry. 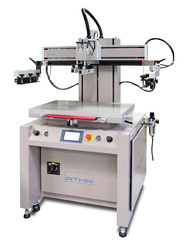 Used specifically to cater to the various screen printing needs, these machines have gained huge market appreciation. Under our product gamut, we have brought forward Semi Automatic Screen Printing Machine. These machines are examined on various parameters and thus, are delivered with the assurance of constant performance. 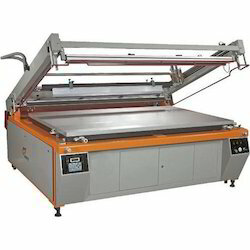 Looking for Screen Printing Machines ?